– Elsa. Frozen. The Movie. The movie, “Frozen” is Disney’s highest grossing animated film ever. Did you watch it? Probably. And, if you are like me, someone who has struggled with anxiety for a long time, you may have recognized the similarity between Elsa’s struggle to control her magical impulses and Generalized Anxiety Disorder. Huh? Elsa assumes she cannot control her magical ability to freeze everything around her. This lack of control terrifies her. She is convinced that the only way to protect those around her is to isolate herself and hide her special ability. Many of us who suffer from anxiety also tend to isolate ourselves out of fear. Fear of triggers. Fear of embarrassment. Fear of judgement. If only Elsa had understood earlier – anxiety can be controlled. Generalized anxiety disorder is characterized as persistent and excessive worry often to the point that it affects one’s daily life. Anxiety may impact quality of sleep, obsessive and compulsive behaviors, emotional outbursts, self-blame, and constant self-doubt. According to the Anxiety and Depression Association of America, about 18% of the population struggle with anxiety and only about 37% of these individuals receive treatment. While we, anxiety-sufferers, recognize the stereotype of anxiety-ridden individuals as weak, feeble, scared of their own shadow, and emotionally-damaged, as well. This image couldn’t be farther from the truth. With a pit in your stomach so tight, it could double as a trampoline. the one that says: ‘watch out … be careful … you can’t trust yourself … you are going to lose your job, your family, your house’. Or, the other voice: ‘you’re crazy, give your head a shake, pull up your boot straps’. Playing and re-playing events of the day over with the sole objective of identifying everything that one did wrong. This is a day in the life of someone who suffers from generalized anxiety. And, yet, some of the world’s most successful people have battled anxiety: “Adele”, “Oprah”, “Winston Churchill”, and “Princess Diana”. Somehow these individuals have or had the fortitude to accomplish great things despite overwhelming self-doubt and worry. Let’s not forget our protagonist, Elsa. Talk about inner strength, she had plenty. 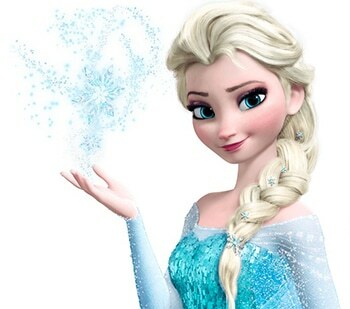 Elsa had the fortitude to isolate herself in the Arctic because she did not believe she could control her impulses. Only in the end, with the love and support of her sister, did she learn to use her strength to control her magical ability rather than hurt herself through isolation. “Conceal … Don’t feel … Don’t let them know”. The big question, of course, is ‘how’? How to control and manage anxiety so that we all don’t drive ourselves to our own personal version of an ice castle far away. Surveying the most current research on anxiety, I have discovered four consistent themes in the stories of successful approaches to manage anxiety. Self-awareness is different than self-criticism. Self-awareness is about knowing all the fascinating parts that make oneself whole. These parts are not cloaked in the ‘good’ vs. ‘the bad’ silos and instead with an understanding of how one perceives the world and others. A self-aware person knows what kind of relationships and work they enjoy, how they like to spend their time, and what they expect from others and expect from oneself without self-criticism. A critical component of managing anxiety is knowing that how “I perceive the world through my own unique lens and my perception impacts my thoughts which in turn controls my behavior”. “The strength of the relationship between public SA (self-awareness) and positive social events was stronger for people who were less anxious, less depressed, and for those with greater self-esteem”. Bottom line – You must want to know your true self including your triggers, your tendencies, your biases, and your blind spots to manage your anxiety. But, here’s the rub. It doesn’t work for everyone all the time. It is not as if you can go to the store, pick up a box of CBT, and you’ll be cured. People are complicated. Patient resistance, quality of the therapist, and environmental factors all lean into the effectiveness of treatment. Tip: If you are in treatment and you don’t feel like it’s working, it’s not. Trust your instincts, speak up to your therapist, and don’t hesitate to move on. Your time and your efforts are too valuable. Don’t give up … you probably just need a different approach and therapist. Strongly encourage you to read Dr. David Burns’ article, “The Science behind T.E.A.M. Therapy”. Ever heard the 10,000 hours principle? Malcolm Gladwell coined the term based on the principle that it takes 10,000 hours of deliberate practice to become good at anything. Perhaps 10,000 hours isn’t practical, but the idea can certainly be applied to anxiety. None of the typical tactics required to control anxiety listed below are effective in isolation and certainly not without daily practice. The reality is that anxiety most certainly can be controlled but only with hard work, commitment, and consistently thoughtful behavior. Elsa tell us early on, “I don’t care what they’re going to say. Let the storm rage on. The cold never bothered me anyway”. But, we learn later sadly the cold does bother Elsa. Anxiety is not something to suffer through with a stiff upper lip. The truth is, the more you ignore it, the louder it will rage. Take Elsa’s word for it. Anxiety can be managed. Full stop. It takes an approach with measurements and lots of practice. I hope you found this article helpful. Jennifer Brooks is a lifelong learner, and passionate about mental wellness. My husband and I are committed to our marriage, our two school age children, our careers, and making the most of this precious window of time we have together. I recognize that while this phase of our lives is full of opportunities and joyfulness, it also can be a time of real anxiety, loneliness, and frustration. This is a big reason why I wrote the article and have taken the time to read the other beautiful posts in this website. It is incredibly helpful and inspiring to learn from others and their stories. My career is in Human Resources and I live in Ontario, Canada.